Take a candlelight tour and enjoy the festive holiday décor of historic homes in the Washington, DC area. Several house museums in Maryland and Northern Virginia offer candlelight tours, complete with seasonal music, storytelling and holiday treats. Some programs require reservations, so be sure to call ahead. 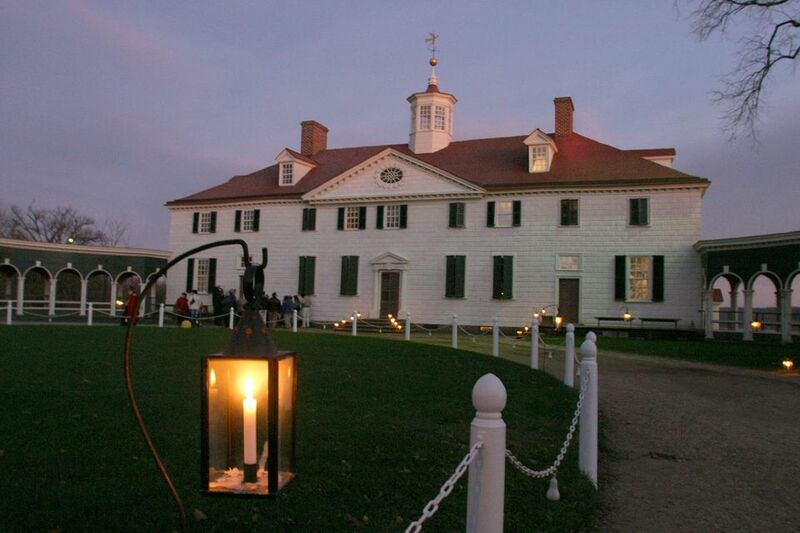 Mount Vernon by Candlelight -November 24-25 and December 1-2, 8-9 & 17, 2017, 5 - 8 p.m. Learn about the Christmas traditions of George Washington and his family, meet historic characters and tour the Mount Vernon Estate by candlelight. Admission is $22 for adults and $15 for children under 12. Frederick Candlelight House Tour - December 2-3, 2017. Downtown Frederick, MD. The self-guided walking tour takes visitors inside private homes elaborately decorated for the holidays. This year’s tour will feature eight homes with distinct architectural style, built between the 1750’s and 1950’s. Admission: $20 in advance, $25 on the day of the event. Tudor Place Candlelight Tour - December 12 and 14, 2017. 1644 31st Street, NW Washington, DC. See the historic mansion by night and its glittering holiday decor in a rare after-hours tour, and enjoy outdoor illuminations that reflect the festive lights inside. $20 Non-members, Members are free. Historic Alexandria Candlelight Tours - December 9, 2017. Historic Alexandria will host candlelight tours at five festively decorated historic sites in Old Town. Ticket prices are $20 for adult and $15 for seniors, $5 for children (ages 6-17). Candlelight Tours at Sully Historic Site - December 9, 16 and 17, 2017. 3601 Sully Road, Chantilly, Virginia. (703) 437-1794. Discover the spirit of Christmas at a candlelight tour of the elegant 1794 home of Richard Bland Lee. Following the tour, warm yourself by the fire, sip some cider and join in caroling. Prepaid reservations required. $10-12. Candlelight Tours at Oatlands Historic House and Gardens - November 24-26 and December 2, 2017, 6-8 p.m. Leesburg, VA. Enjoy a special evening self-guided tour through the mansion sparkling with Christmas lights and decorations. Tickets are $12 for adults, $10 for seniors and $8 for children 6 – 16. Admission is free for Friends of Oatlands and children under age 6. Candlelight Tour of Historic Houses of Worship - December 26, 2017, 4-9 p.m. Frederick, Maryland. More than a dozen churches open their doors to the public for special programs, angelic choirs, and nativity scenes celebrating Frederick’s tradition of religious diversity, and local history.